Hard Tiger Tips. Tiger Laminated Cue Tips give players excellent playability and control. 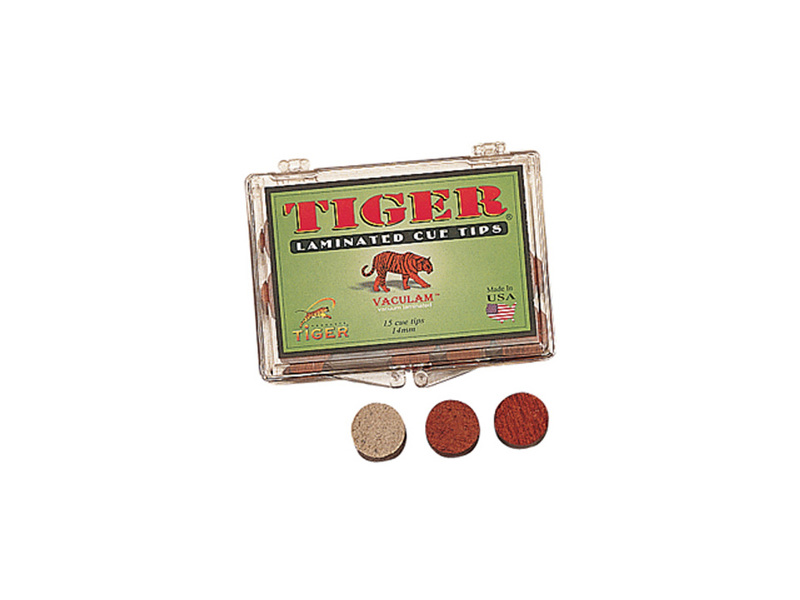 These hard Tiger tips are made out of white cowhide, giving the player all the benefits of a soft tip without mushrooming. 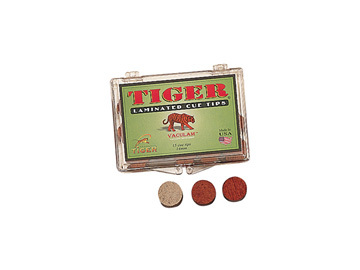 By using the natural character of the leather, Tiger achieves better consistency and maximum hardness control. Using the exclusive VACU-LAM manufacturing process, you can be assured total lamination with no air pockets. Each tip is then checked with a durometer for its exact hardness. Laminated tips last longer and virtually eliminate mushrooming. Face it, the tip is the business-end of a pool cue, and the best way to improve cue performance is to improve the tip. Tiger Laminated Cue Tips: play with one and IMPROVE YOUR GAME.